After weeks of recruitment and months of preparation, the Voice Project launched last month. 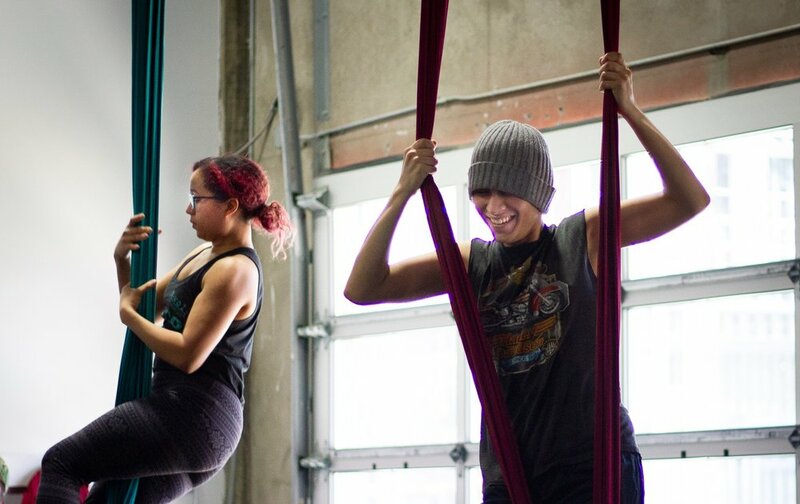 Empowering marginalized populations to find their voice through the circus arts has always been central to our mission, and we are looking forward to this new application. We will share updates with you throughout the year as the participants get to know each other, develop their circus skills, explore issues of social justice and create a show. Mark your calendars for the weekend of November 21-24 for the premiere! 3+ guest workshops planned, including topics such as community engagement, Theatre of the Oppressed, and using art as activism. 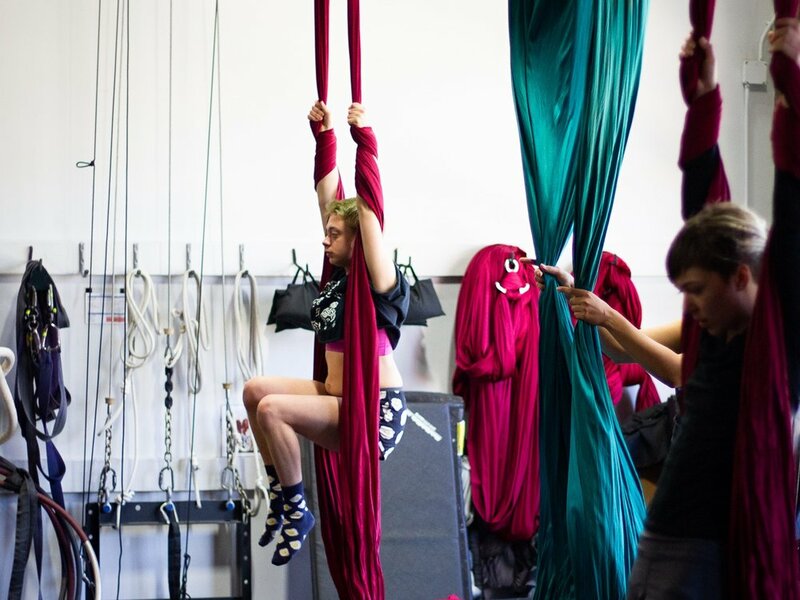 Most of the Voice Project participants have been previously involved with the Circus Project through private lessons via our Pathways program or workshops with local non-profit partners. The Voice Project will employ a Youth-led Participatory Action Research (YPAR) methodology, which breaks down the lines between educators and students and invites youth to be the experts in their own lived experience. To learn more about the methodology, read about the YPAR basics. What will the topic of their show be? We don’t know! The participants will drive the creative process themselves, drawing inspiration from their own lives. We hope you will join us to celebrate the participants at their year-end show in late November! We are looking for supporters to join our champion circle to support this program. Contact kirsten@thecircusproject.org to see how you could be involved. We are also seeking donations such as healthy lunches and snacks, reusable water bottles and bicycle helmets to facilitate the participant’s circus training. See www.thecircusproject.org/voiceproject for more information on our needs.